My little Tyler is happiest when he's able to play pretend and one game which he's begun to have a whole new enthusiasm for these days is playing grown-ups. I've shared Instastories of he and I having conversations where he tells me that he has a job - apparently he works in Lidl, he has his own house (he's doing better than me already!) and he has a baby called Sammy who, in Tyler's own words "sleeps besides him every night but won't drink his babas (bottles)"). Tyler loves his baby Sammy, which is the Baby Annabell Baby Brother doll (reviewed here) and we used to go on long walks together, myself with Beau in his pram and Tyler with 'Baby Sammy' in a toy buggy. However, I think Tyler was a bit too enthusiastic with all the walking and running and a wheel snapped off his buggy, making it only fit for the bin. 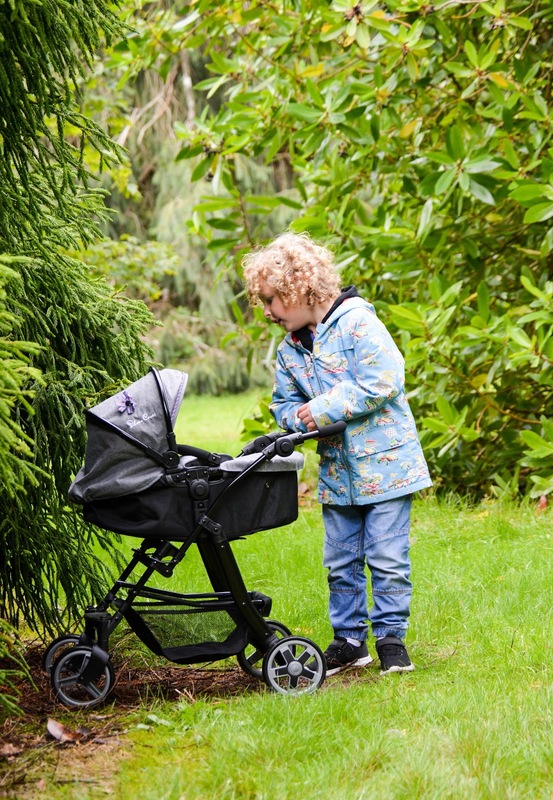 He was so sad, but then we were offered a chance to review the Play Like Mum Silver Cross Pioneer 5-in-1 Dolls Pram (£59.99) and he was so excited that he was getting a new pram for his baby. 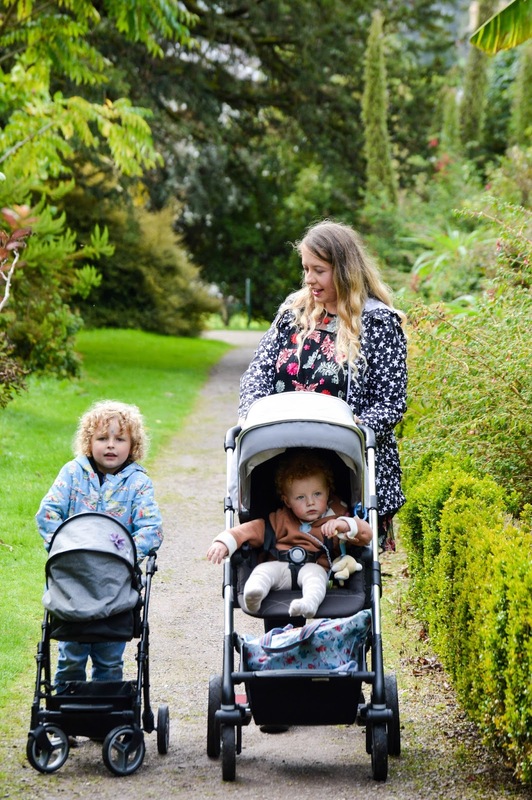 I was also quite excited, as the pram I have for Beau is a Silver Cross Pioneer too (reviewed here) and the thought of my boy and I having matching prams for our babies was just too sweet. 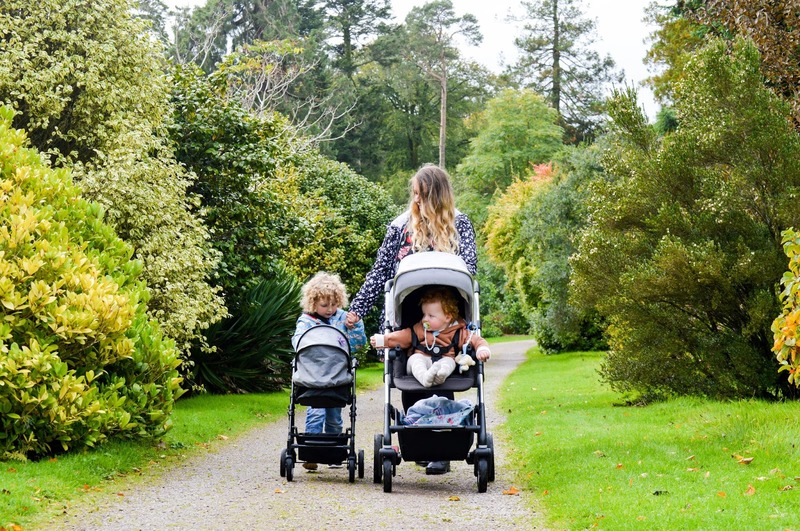 The Play Like Mum Silver Cross Pioneer 5-in-1 Dolls Pram is exactly like my life-size Pioneer and has all the features of it too - adjustable handle height, it can be used in carrycot or pushchair mode, the seat reclines in three positions, it folds down fully making it ideal for taking in the car, the hood goes up and down and it even has the same basket underneath. 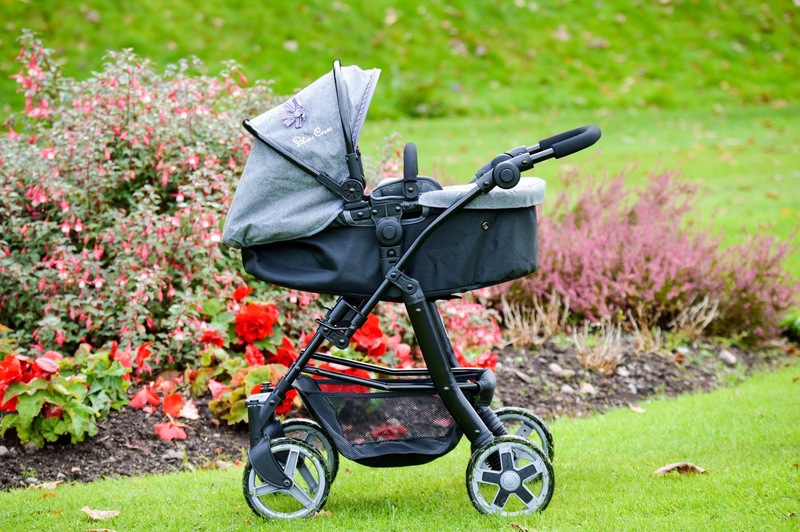 Both mine and Tyler's prams are grey and his has a lovely little added touch of a flower type embellishment on the hood. 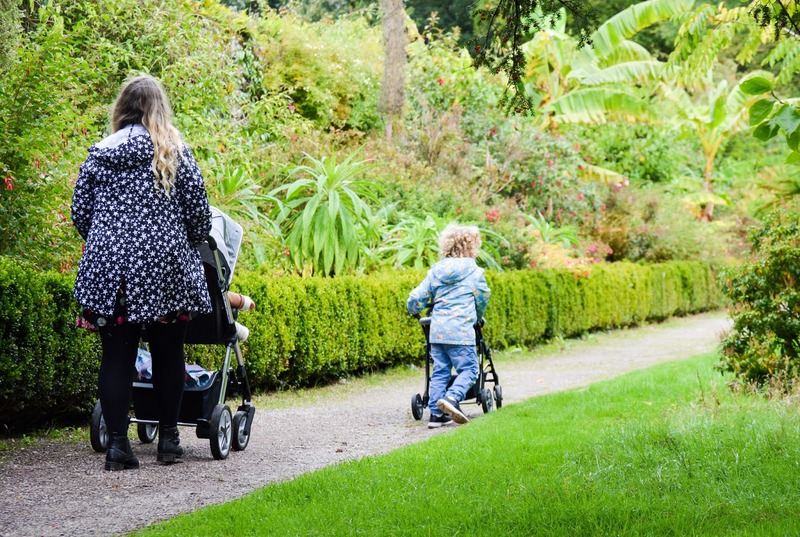 The dolls pram has poppers which take it from carrycot to pushchair mode and these are easily snapped back into place - depending on how your child wants to play with it. Tyler seems to favour the carrycot mode at the moment as he likes to pretend his baby is sleeping. 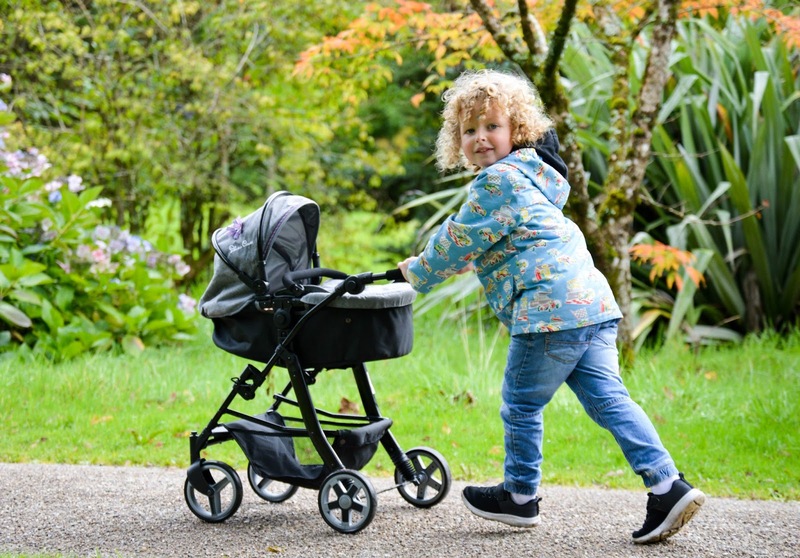 Tyler is quite a tall boy but this pram is perfect for him, he's not bending over to reach it and the adjustable handle feature has been great for him. I was totally impressed by this dolls pram and all it's features. It's extremely lifelike, of great quality and it looks lovely too. 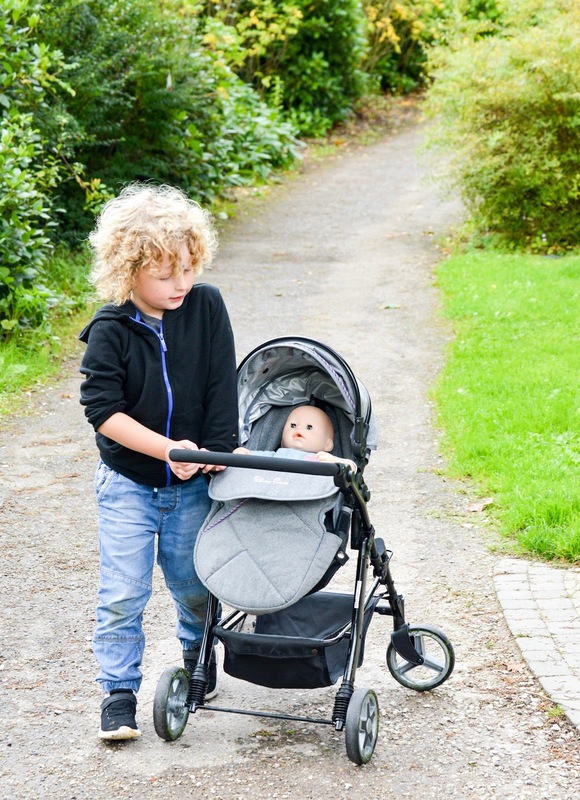 It's holding up well against all of Tyler's vigorous walking and running and baby Sammy has been left in total peace inside it - or so I've been told by his 'daddy'! 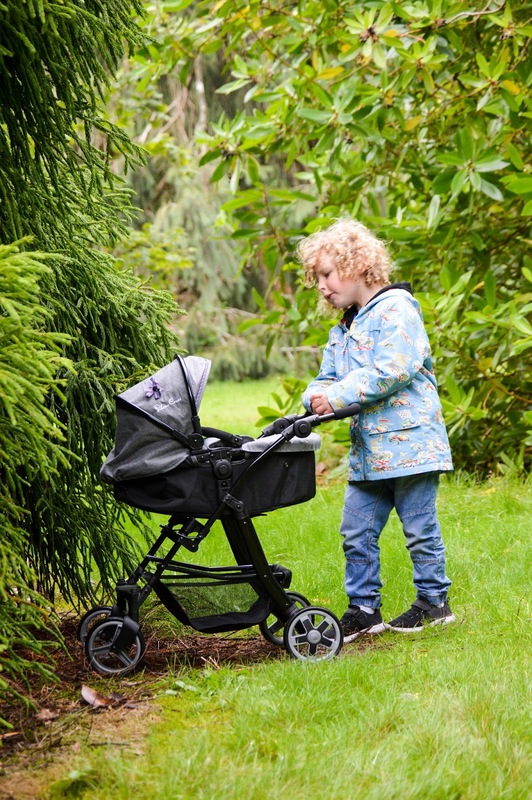 This is such a lovely dolls pram and I'd highly recommend it if your little one is into pretend play and playing with dolls or cuddly toys. It's perfect for playing just like mum, or indeed dad. *We were sent this dolls pram for the purposes of this review, however, as always, all thoughts and opinions expressed are 100% my own.